According to a recent article from the Orange County Register, eighty-five percent of Californians used a mobile device to help them buy a home last year, per the California Association of Realtors’ 2015 Home Buyer Survey. Ninety-five percent of them used their phones and tablets to research homes, 20 percent to research neighborhoods and 14 percent to take photos, the survey said. Mobile apps are no longer the future. Now they are routine. 1. MLS Access – Home Buyers get easy access to the MLS search on most Real Estate apps. By giving customers an easier way to access products you streamline the sales process, making buyers happy. 2. Connection – Staying connected to an Agent through one portal makes things easier for everyone. Personal real estate apps allow customers to save and share listings via the mobile app. Agents can connected with homebuyers 24/7 even when professionals can’t be immediately available. 3. Interactive Maps – Home buyers are on the go. 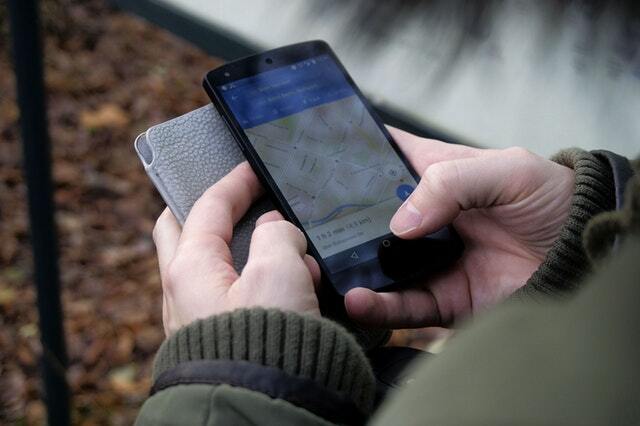 Many apps use your phone’s GPS to find homes around you Apps with interactive maps mean they don’t have to navigate through a browser or mobile site. They can find a property, and how to get to the location all in one place. For years, the real estate industry fretted that all this new technology would replace agents the way the Internet has gutted many other industries. Just the opposite is true. The Orange County Register article also notes that a recent Realtor survey showed more than 90 percent of Californians used a real estate agent to buy a home in 2015, up from just over 70 percent in 2002. With no slowing in how consumers use mobile apps in every part of their lives, it is time to make sure your real estate business is up to date. You will sell more homes with a streamlined process and give your clients the mobile experience they desire. This entry was posted in apps for real estate agents, Mobile Apps for Real Estate Agents, real estate technology, SnApp, SnApp Development and tagged apps for real estate agents, mobile apps for real estate agents, real estate technology, snapp, snapp development. Bookmark the permalink.